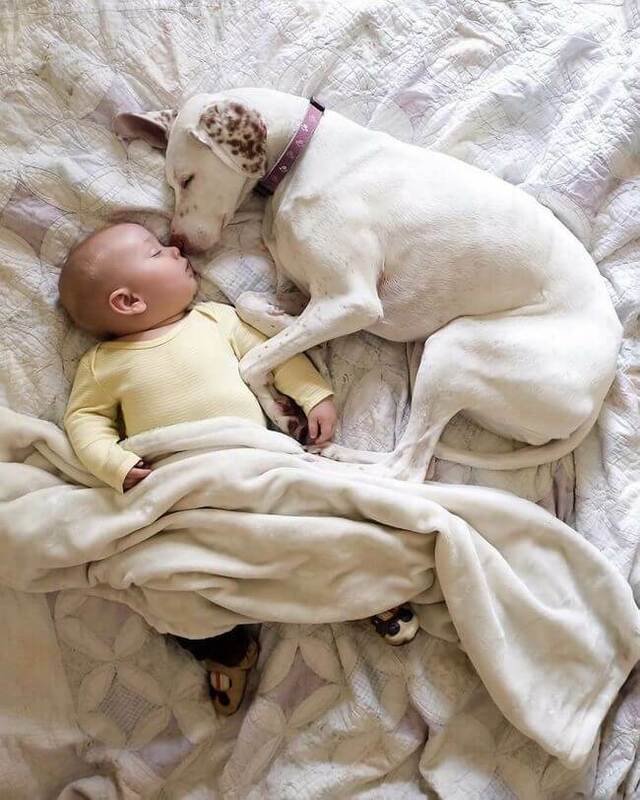 Newborn and rescue pup nuzzling up together make for the cutest nap duo ever! 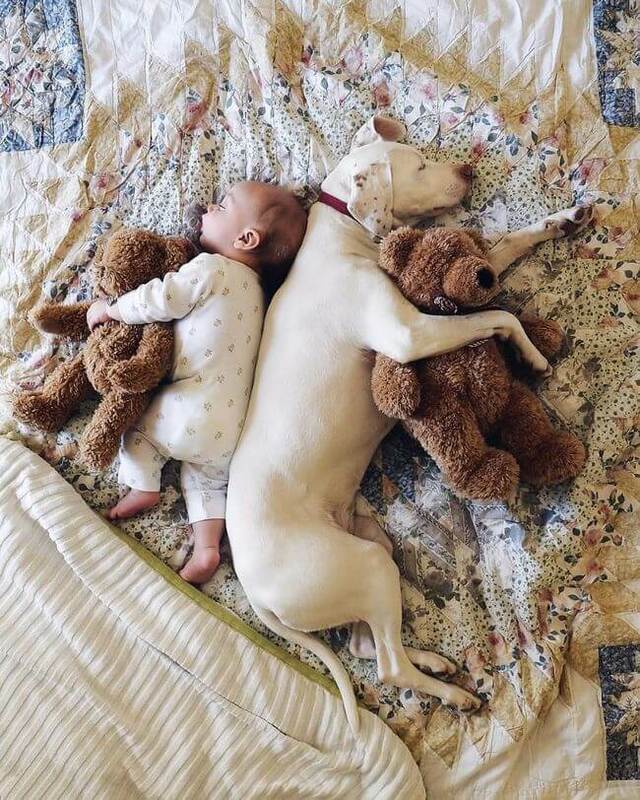 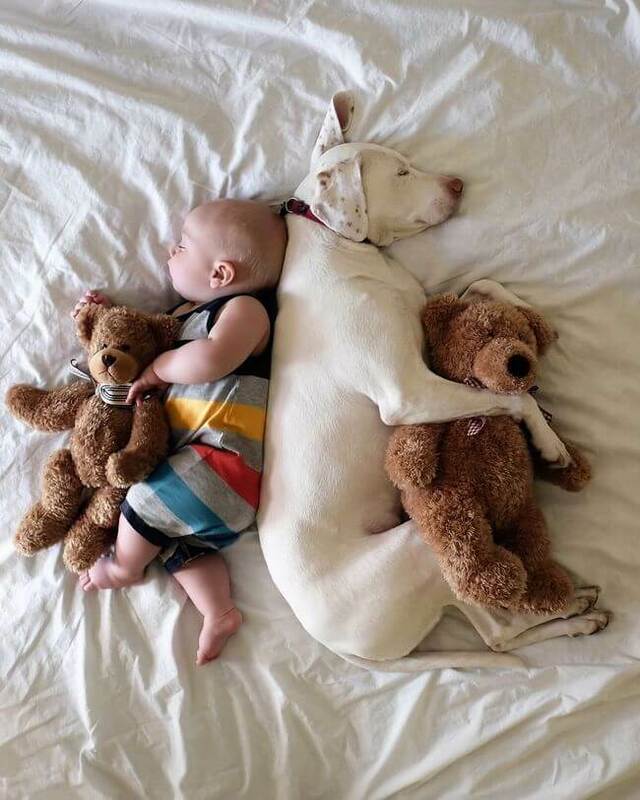 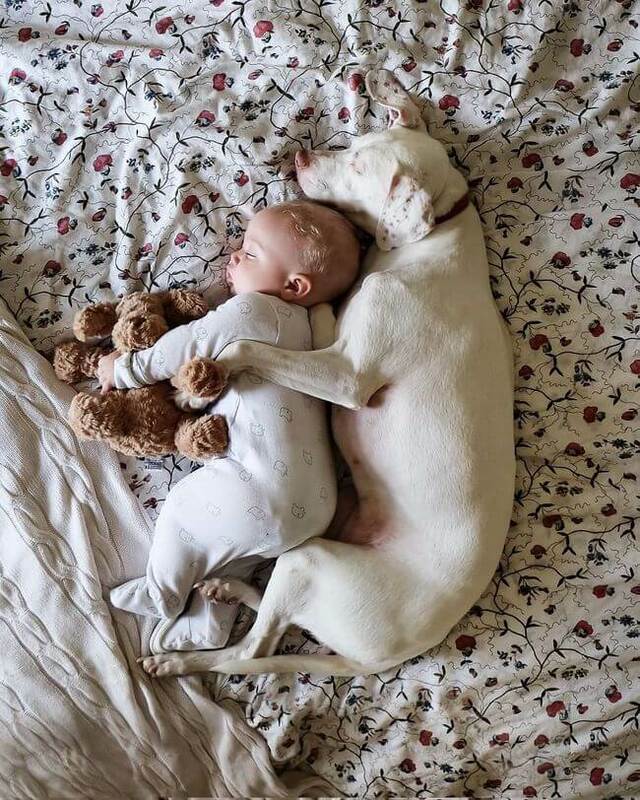 Some people would cringe at the idea of letting a big dog cuddle up next to, or even get close to a newborn baby. 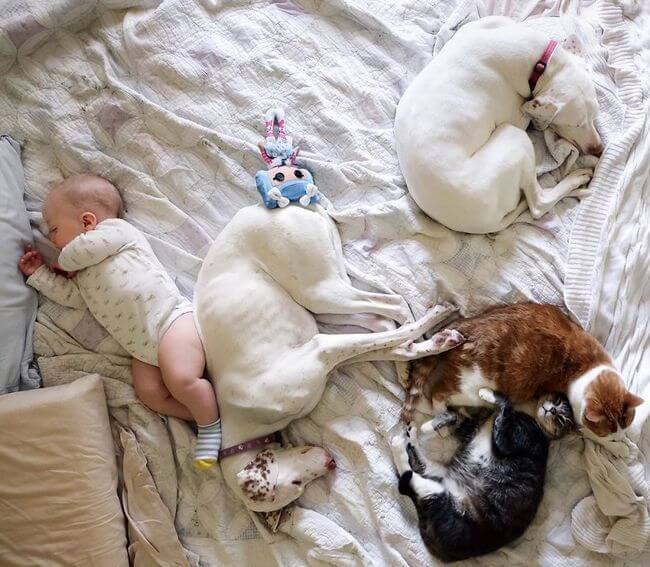 However, this rescue family doesn’t let that stigma survive anywhere near their home. 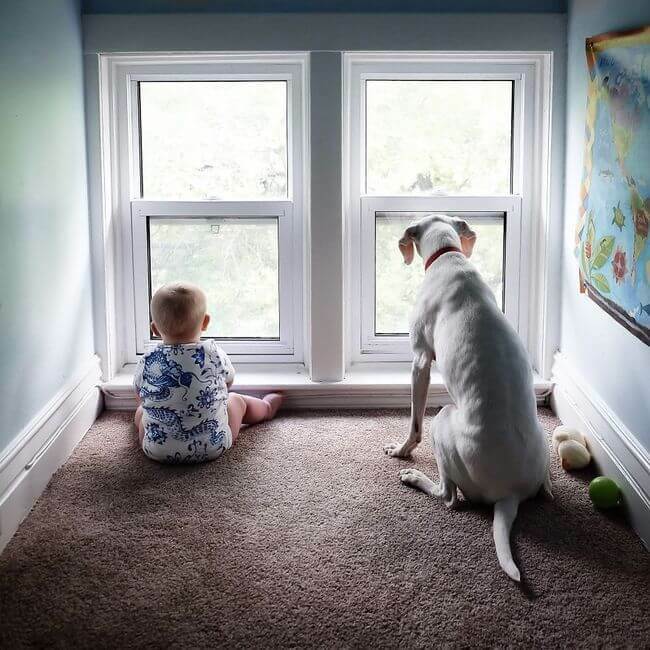 ”We got our girl Nora, an English Pointer, from a rescue shelter seven years ago prior to having kids. 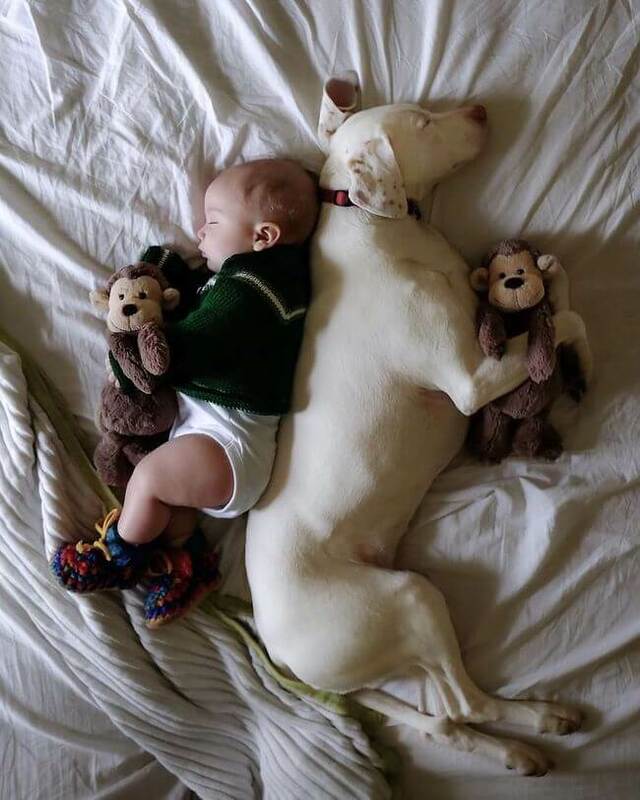 Despite having come from an abusive situation her sweet and gentle nature shone through and we knew with certainty she would be a wonderful family dog when the time came. 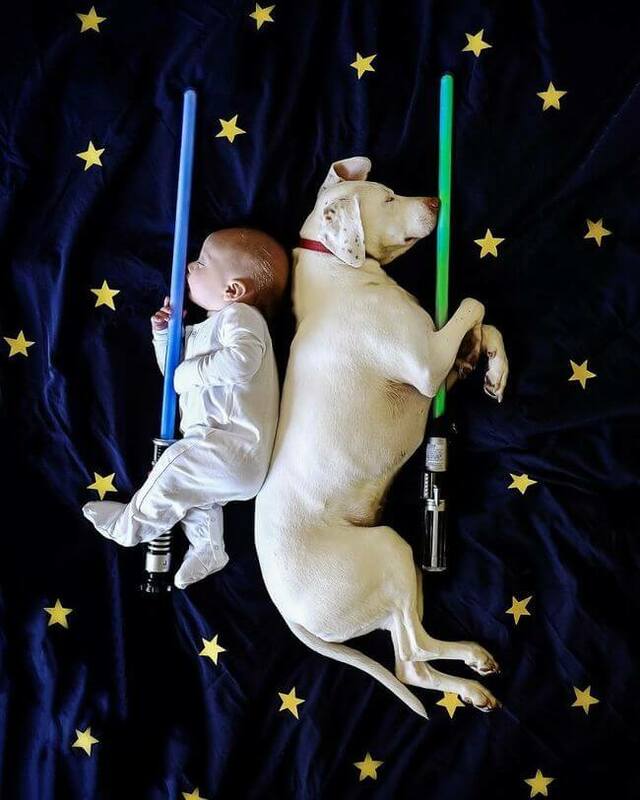 She absolutely did not disappoint!,” Elizabeth Spence states. 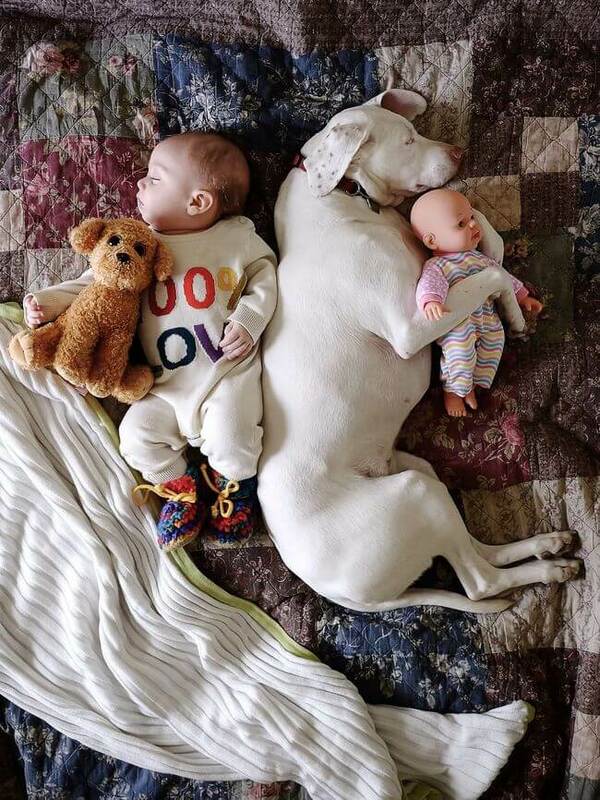 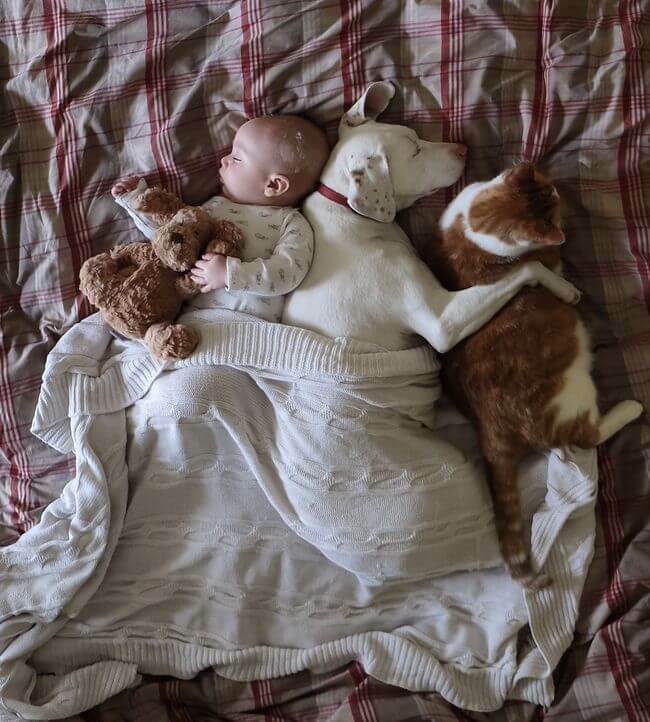 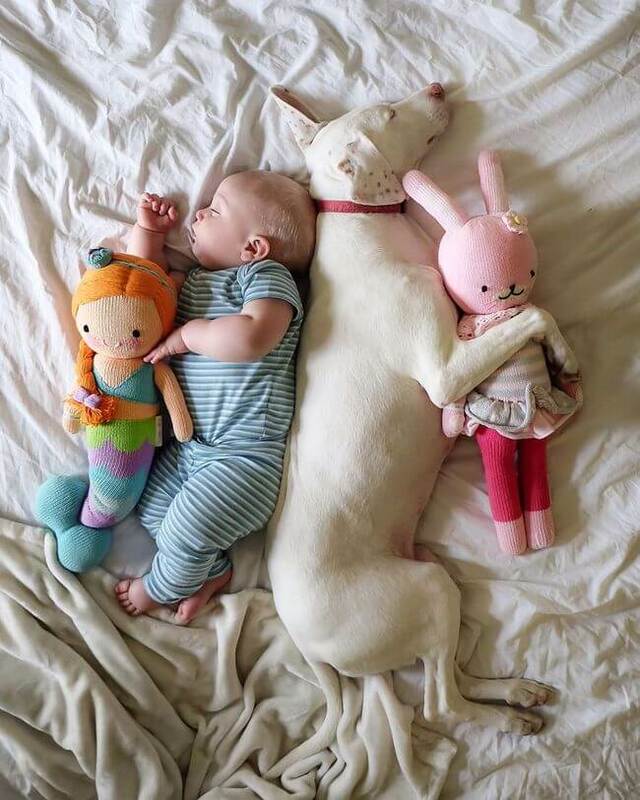 Dogs love having new playmates, especially little babies. 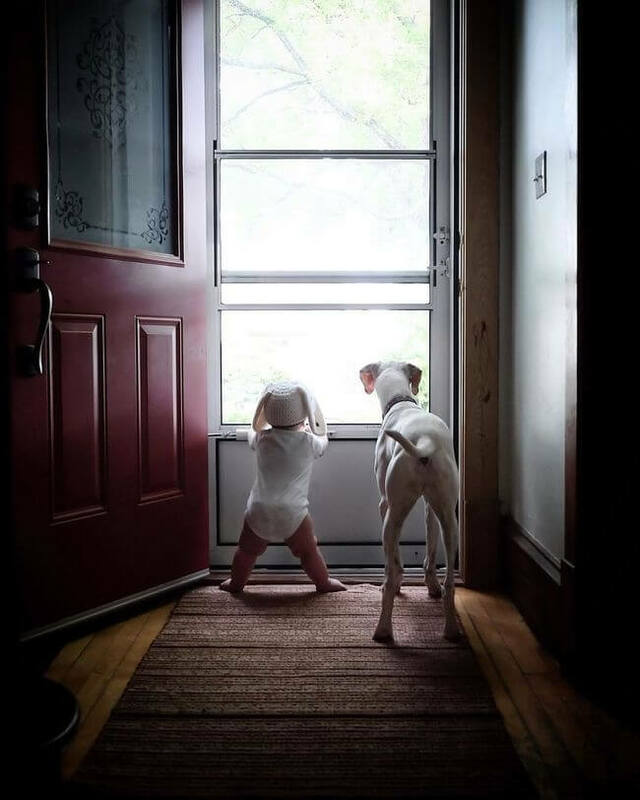 Some even get so involved in caring for their humans’ that they become considered the new babysitter. 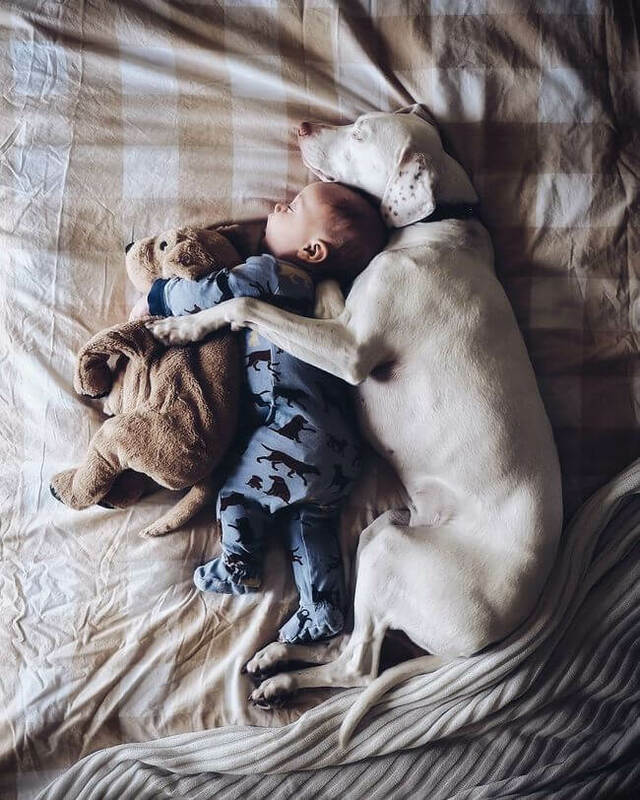 This holds specifically for Nora, the adorable rescued English Pointer and her baby human Archie Spence. 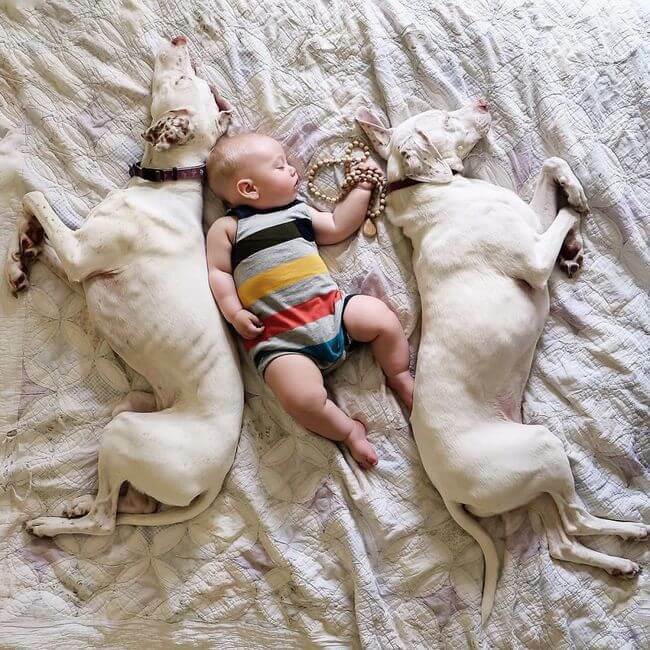 “We now have three kids, three rescue dogs, and three rescue cats and Nora gets along famously with all of them, particularly our youngest son, eight-month-old Archie. 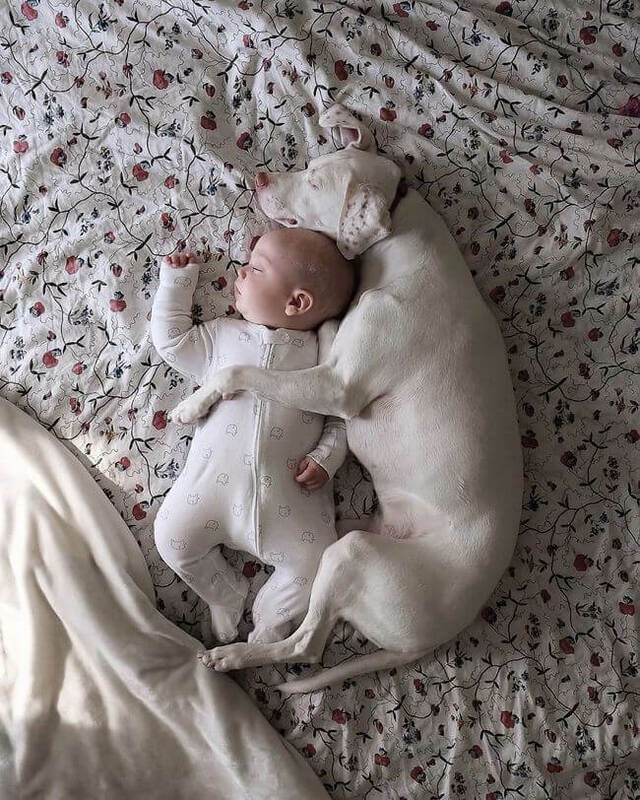 Archie’s mom, Elizabeth, quickly recognized this newfound unbreakable bond during nap time and decided it was the perfect opportunity to get a little creative with her camera. 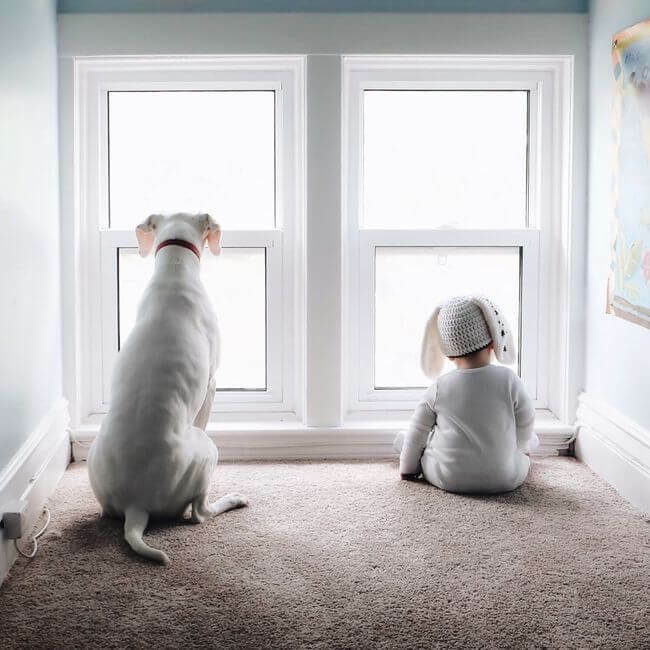 Using only a few props and some other animals in the house, she created a heavenly photo series of the adorable duo to showcase their loving relationship. 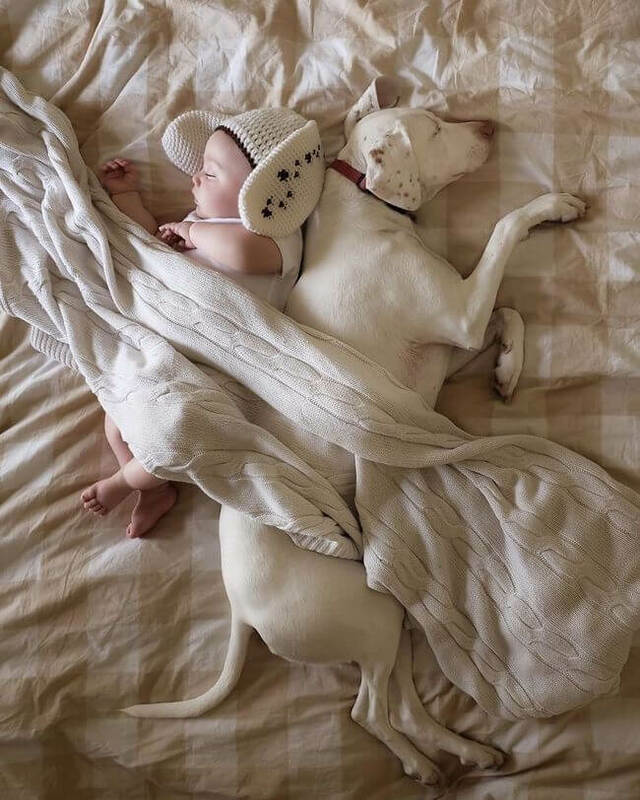 Elizabeth hopes her series, posted on Instagram, captures the love that most rescued animals have to offer and inspires others to rescue these animals.